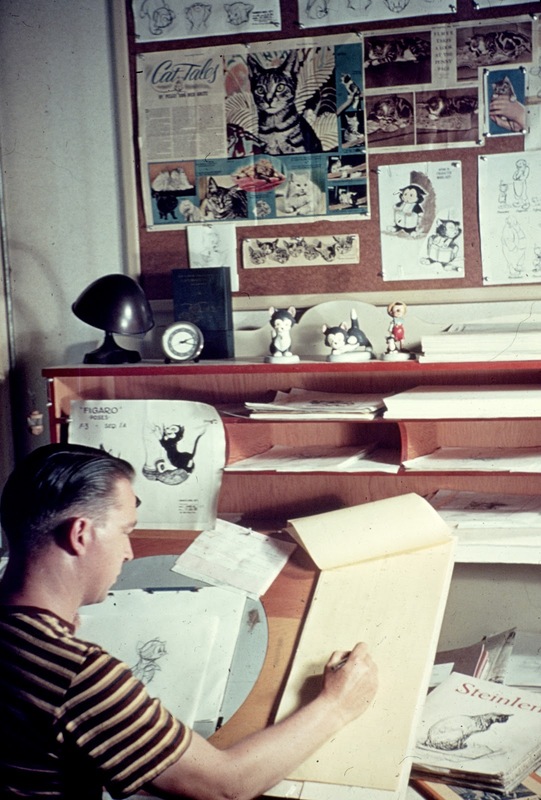 That's animator Eric Larson in this beautiful vintage photo, taken around 1938 or 1939, during production of "Pinocchio"
Eric is working on Figaro, the cat. As you can see, he surrounds himself with all kinds of cat related inspirational material. There are magazine articles with photos of cats pinned to the cork board, and he has early as well as final model sheets of the character to reference from. 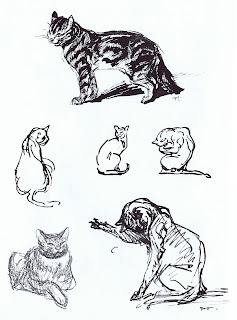 Next to his exposure sheet you see a book titled Steinlen. 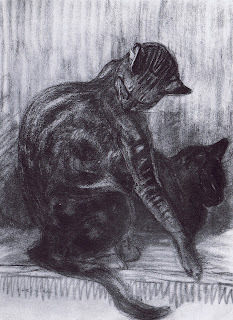 Theophile Steinlen (1859-1923) was a Swiss born French Art Nouveau painter. When you google his name, you'll find a great number of his stunning drawings and paintings. 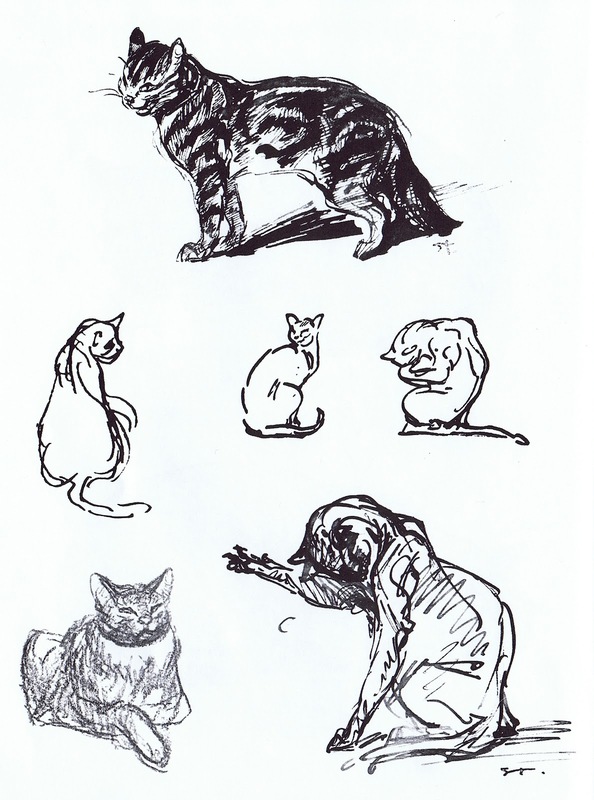 Many of these works are depicting house cats in carefully observed poses. 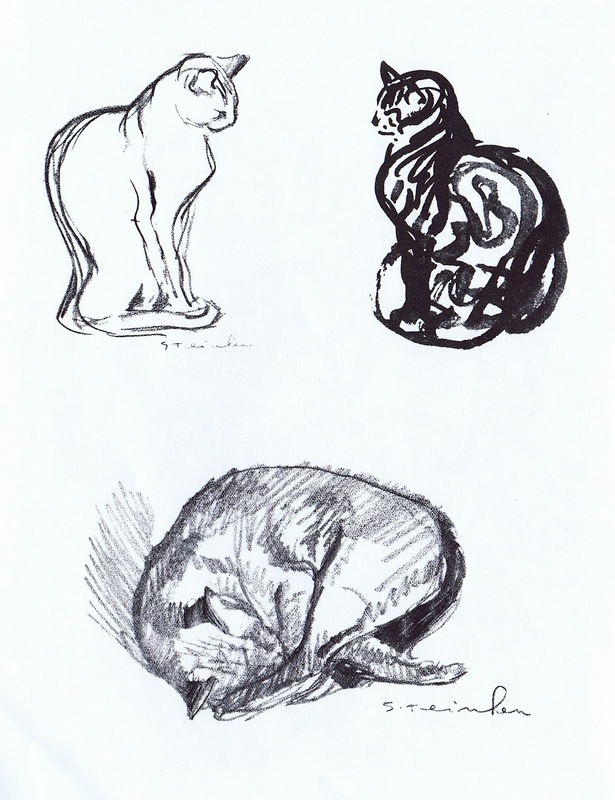 A variety of French magazines of the time published Steinlen's humorous illustrated stories that show continuity like a comic strip. 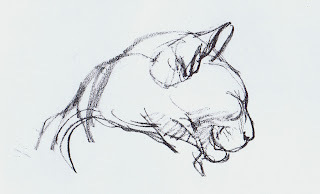 He was a real master of the "feline form". 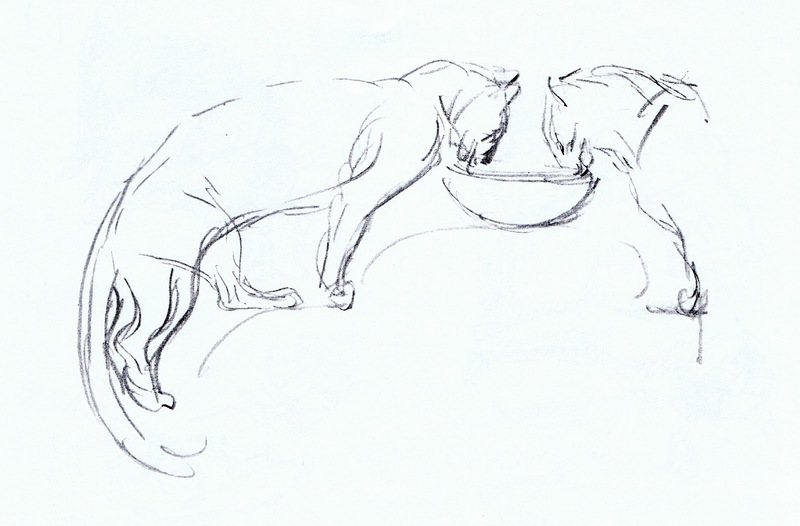 Even though Figaro is drawn in a cartoony style, his motion is based on real cats. 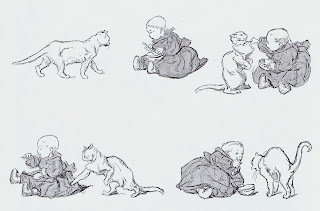 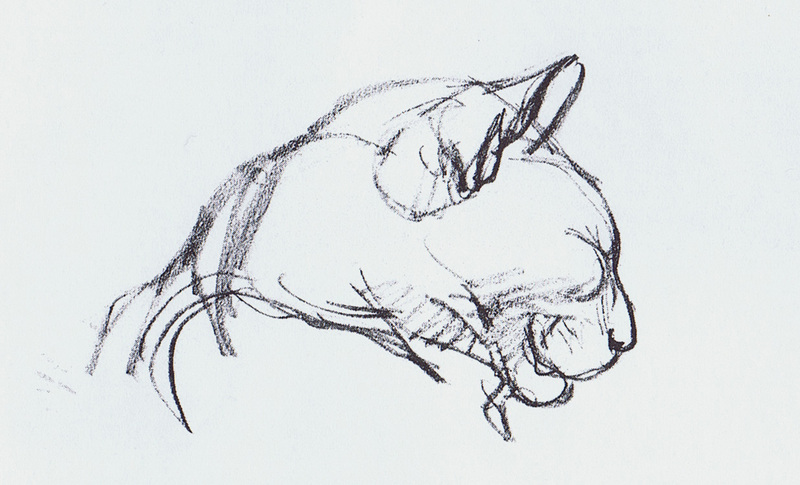 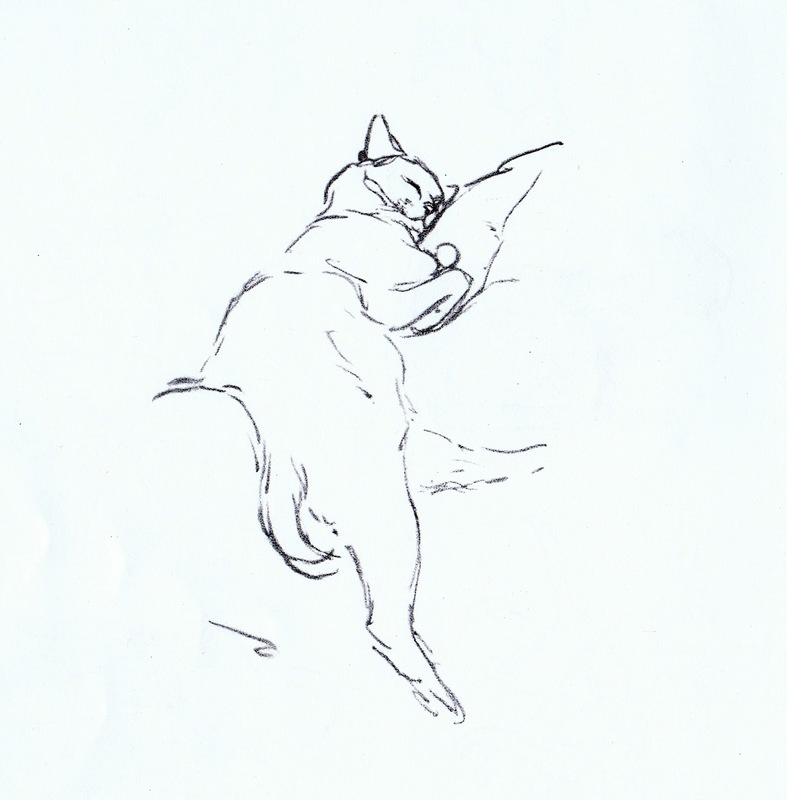 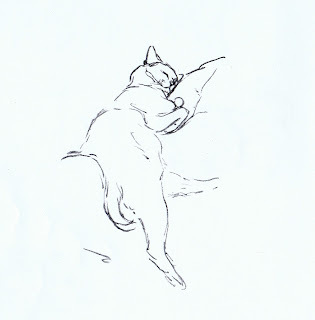 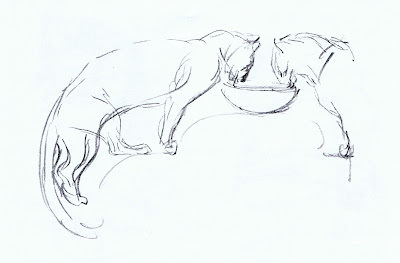 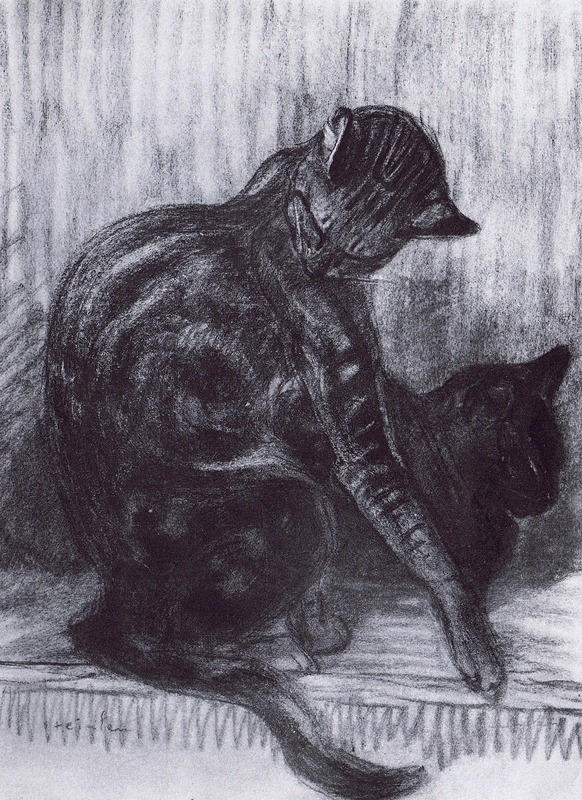 I am sure Eric got a lot out of studying Steinlen's sketches, like the ones below.